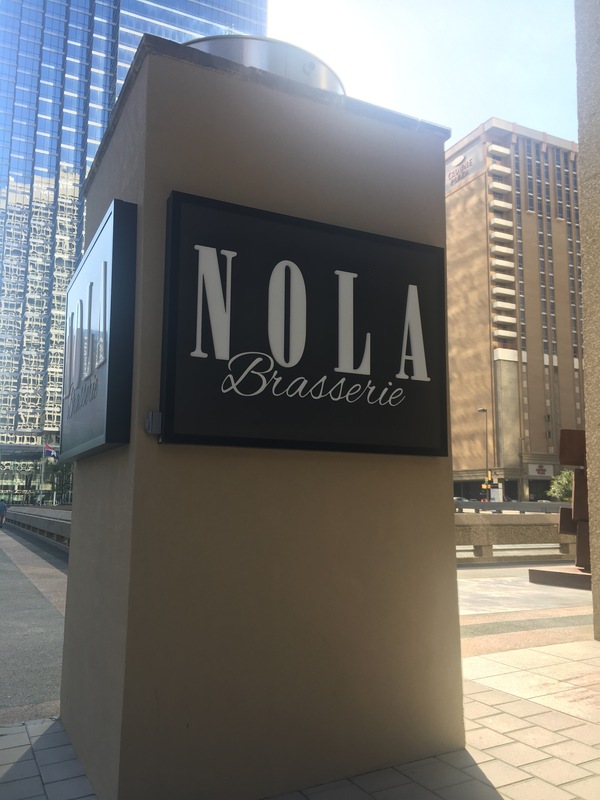 NOLA Brasserie, located in Downtown Dallas, is a New Orleans-style bar and restaurant offering hand-crafted Louisiana mains and regional beers. The environment of the restaurant brings the eclectic feel of southern Louisiana straight to Dallas from second you step foot in the door. 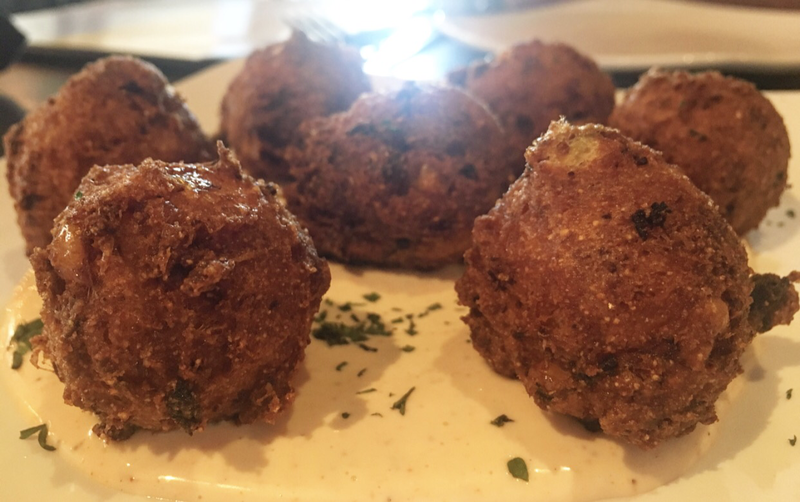 With Edison light bulbs hanging from the ceiling, posters of jazz legends lining the walls, and a beautiful silver tin ceiling, NOLA Brasserie makes you feel like you are right in the heart of New Orleans. From the host to the servers, the service here was impeccable. The Chef and operating partner of the restaurant, Phil Ryan, introduced himself to us and told us a little about himself and his vision for NOLA Brasserie. He stated, “My main goal for this restaurant is to bring authentic Cajun and Creole food here into Dallas, and to prepare each dish as I would at my other New Orleans restaurant and bar, Marigny Brasserie.” Sounds good to us! So, with that said, we were ready to dive into his Cajun and Creole masterpieces! We started out with the Crab and Crawfish Cake and the Crawfish Fritters. 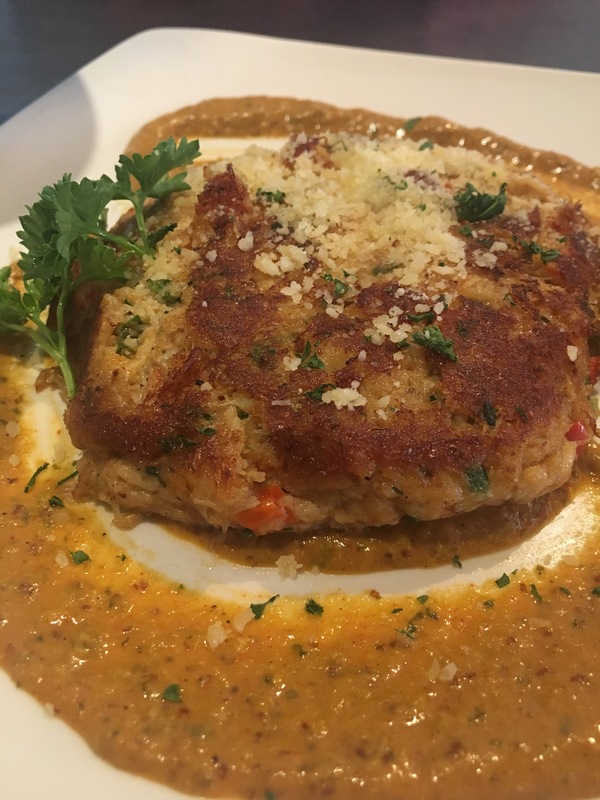 Both were incredibly delicious, however, the Crab and Crawfish Cake was, by far, one of the most delicious appetizers we’ve ever had! We eat a lot, so that is saying something serious! After the appetizers, we went on to try the BBQ Shrimp and Grits as well as the Crawfish Étouffée. Both dishes were served with a fun twist on these Southern staples! 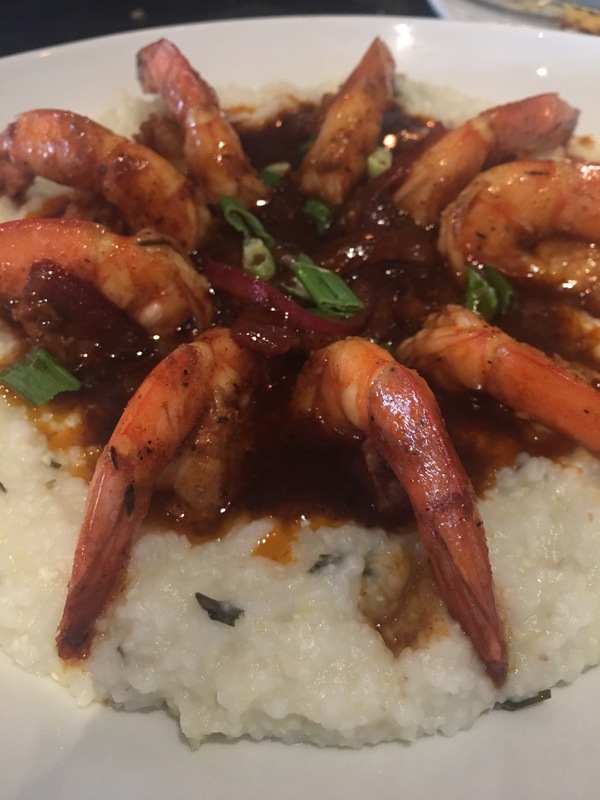 The BBQ Shrimp and Grits are actually served with rosemary grits, allowing for a delicious, earthy flavor throughout. As for the Crawfish Étouffée, WOW! 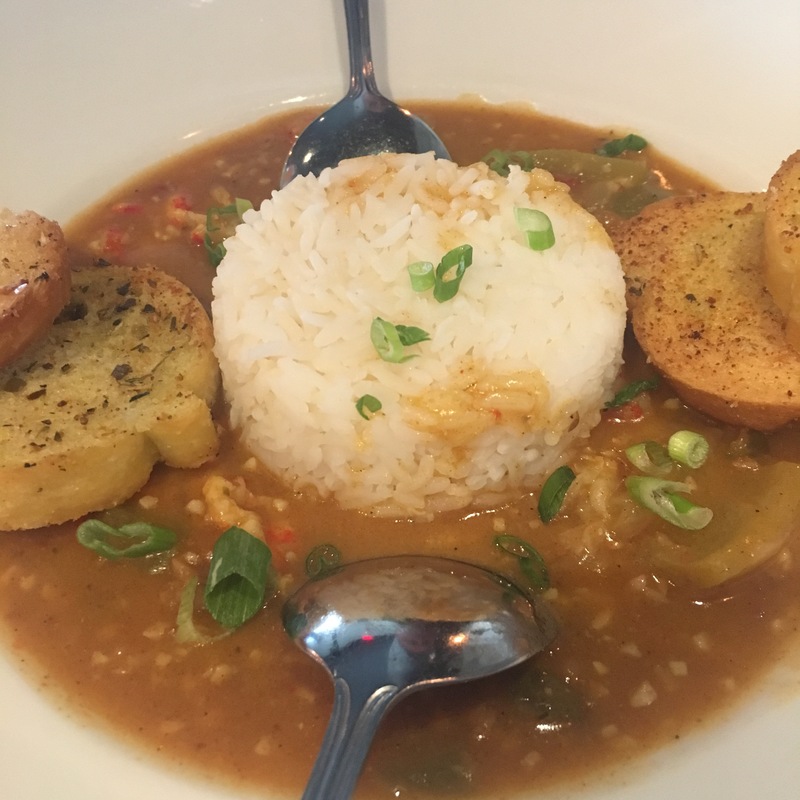 Perfectly seasoned and spiced, this is a can’t miss dish when you visit NOLA Brasserie! As always, we made room for dessert even though we were completely stuffed. Of course, we had to check out the NOLA Bread Pudding which is studded with walnuts and topped with house-made NOLA Rum Sauce but we also tried the Southern Comfort Pecan Pie. Now, this isn’t just some regular pie, y’all. This is a family member’s 100-year-old recipe! While we can’t share all of the secrets of what went into this delectable pie (we don’t even know what it entails! ), the folks over at NOLA Brasserie were kind enough to let us in on what the secret ingredient is…a kiss of Southern Comfort! 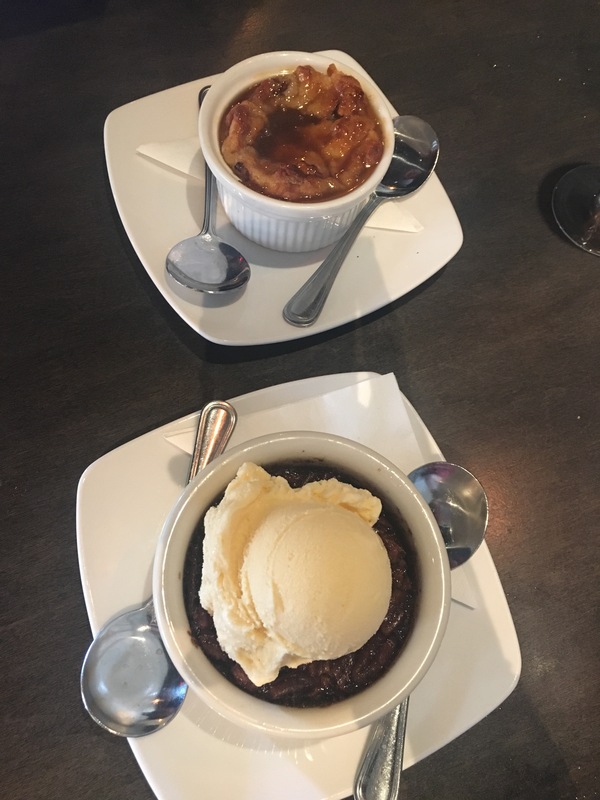 Both of these desserts were melt-in-your-mouth delicious and the perfect way to top off a sensational meal. Overall, it is safe to say that NOLA Brasserie does an outstanding job! From their enticing Cajun food to their wonderful customer service, we can’t speak more highly of this Downtown gem. It is the perfect place to host guests, enjoy date-night or even just a relaxed dinner on your own. Be sure to check it out!